When our family originally changed our diet, we had to begin scrutinizing labels: after all, MSG, high fructose corn syrup, and artificial sweeteners can hide under any number of names. When we went grain-free, I had to learn how to make baking powder, since store-bought baking powder contains corn starch. While some of us can tolerate small amounts of sneaky ingredients like corn starch, I discovered that my son was highly sensitive to corn. Not only could he not eat things like corn chips or tortillas (even organic ones) without major behavioral implications (you can read about those behaviors here), but I realized he couldn’t even have small amounts of corn-derived food additives like maltodextrin or dextrose. Eating even the smallest amounts of those foods caused him to become angry, aggressive, and unreasonable. Thankfully, we’ve done a lot of healing through the GAPS diet, key supplements, and lots of prayer and spiritual healing. My son can now tolerate some corn ingredients. But learning how to make baking powder has opened up lots of new recipes for us without having to worry about harmful ingredients. It turns out all the best recipes call for baking powder. Ok, maybe not ALL of them, but when we’re talking about making classic pancakes and waffles, you need baking powder. Most of my recipes that use a leavening agent call for baking soda. It’s just the most paleo-friendly, readily available rising agent. But to get the best results, baking soda needs to be combined with something acidic. Think of the reaction between baking soda and vinegar from your third grade volcano science experiment. That’s exactly what needs to happen to baking soda in a recipe to get a nice rise. While the simplicity of a single mineral ingredient is desirable, baking powder contains an acidic ingredient to help activate the rising power of baking soda to achieve nice, fluffy results, which is why it’s so great in pancake and waffle recipes. 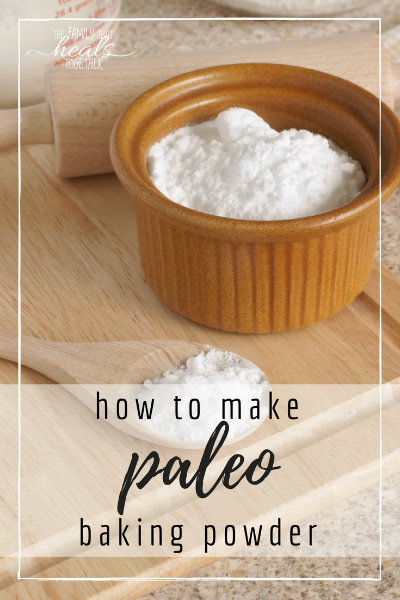 A lot of paleo recipes call for apple cider vinegar as the acidic ingredient to help get a rise out of baking soda, but you can make your own baking powder using baking soda in order to get the classic, expected results in many recipes. So how do you make baking powder out of baking soda? 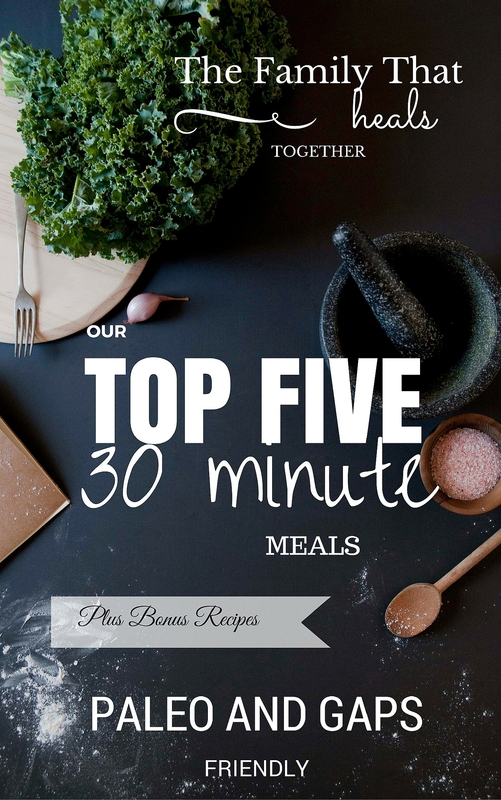 By combining it with just a couple key ingredients. You need an acidic ingredient + a stabilizer that will prevent the baking soda and acid from reacting sooner than desired. 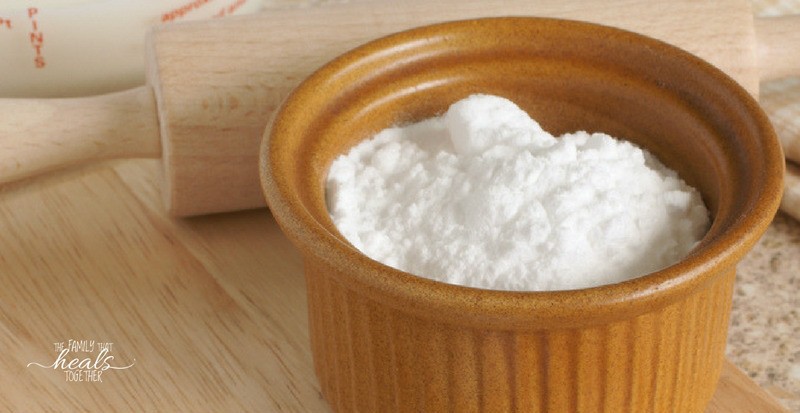 In most store-bought baking powder, this benign stabilizing ingredient is corn starch. To make a grain-free, paleo-friendly baking powder, we turn to arrowroot powder. Also a starch, but without the problematic, allergenic corn ingredients. See the simple recipe below!